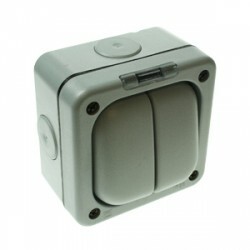 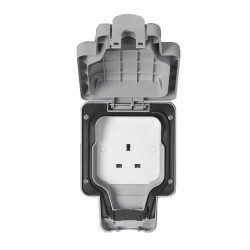 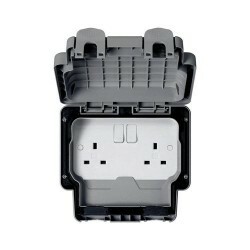 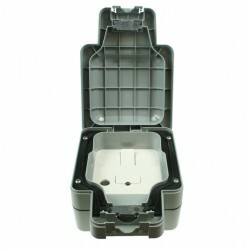 MK Electric Masterseal Plus™ Grey 10A Single Pole Two Way 1 Gang IP66 Bell Push at UK Electrical Supplies. 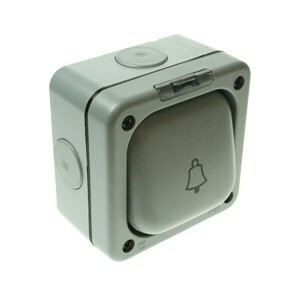 The MK Electric Grey 10A Single Pole Two Way Bell Push (K56407GRY) is a durable wiring accessory designed for use in the most challenging settings. 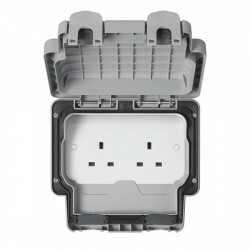 As part of the Masterseal Plus™ range, it features IP66 rated protection against dust and water, along with tough polycarbonate construction that won’t fade or crack in UV light. Whether you install it by a loading bay, gate, or rear entrance, this weatherproof bell push will offer peak performance.